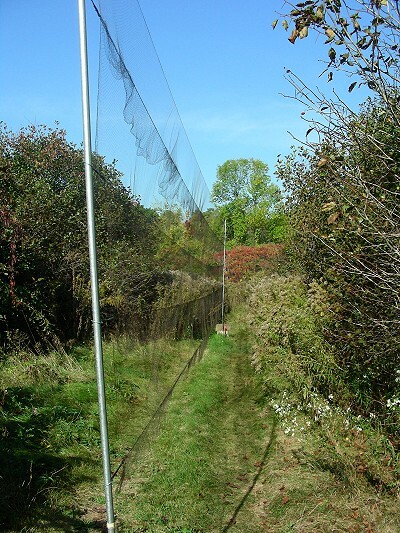 Net A1 was added to MBO at the start of the spring 2005 and has since then often been the most productive of all nets on site. 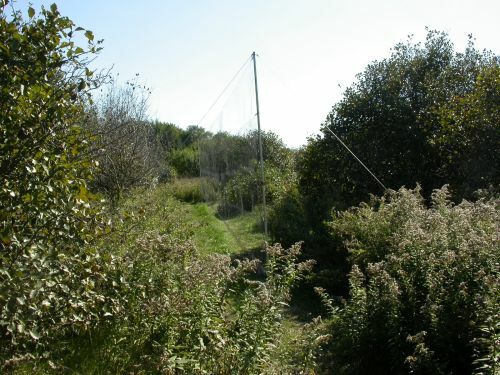 Located in a natural gap between apple trees and hawthorns, A1 is at the edge of the clearing in the centre of MBO, but also close to Stoneycroft Pond. Yellow Warblers, Purple Finches, and Brown Thrashers seem to have a particular preference for A1, but there are relatively few species among those we have banded that have not visited it. 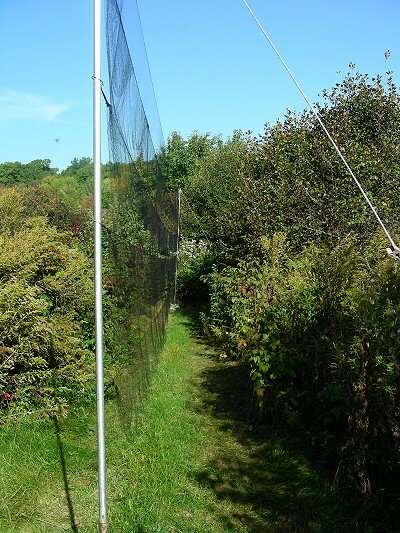 Owing to the success of this location, net A2 was added off the far (southeast) end of A1 in the fall of 2006, among dense raspberry bushes along the edge of a large sumac grove.